You can prevent the setting of cookies by adjusting the settings on your browser (see your browser Help for how to do this), or by making a choice through our cookie controls. Be aware that disabling cookies will affect the functionality of this and many other websites that you visit. Disabling cookies will usually result in also disabling certain functionality and features of the site. Therefore it is recommended that you do not disable cookies. When you submit data through a form such as those found on enquiry page or when requesting a valuation, cookies will be set to remember you did this, or where you are up to in the process of doing this. In order to provide you with a great experience on this site we provide the functionality to set preferences for how this site runs when you use it. In order to remember your preferences we need to set cookies so that this information can be called whenever you interact with a page that is affected by your preferences. cookielaw Used to identify that you have been alerted (and given consent/opted out) of using certain cookies on the website. Stores information that is critical to providing services available to you. Valuations - used to remember where you are in the process of requesting a free valuation from the site. Online Purchase - used to remember where you are in the process of purchasing a registration from the site. User Log In - used to remember which user you are logged in as. Preferences - used to remember preferences you have set when browsing the site (e.g how you'd like search results displayed). Enquiries - used to remember which specific registrations you have submitted enquiries on. A/B Testing - used to remember if you should be shown any particular site modification we may be trying out. nnk_fav Clicking the star icon in our search results adds the registration selected to your favourites list. 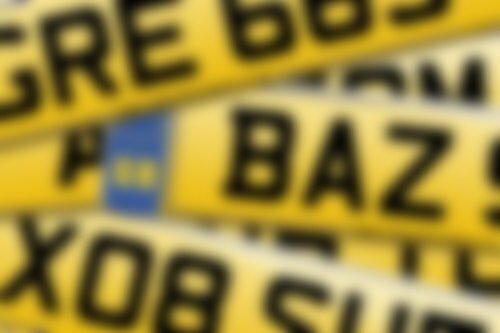 The registrations noted here can then be viewed on our favourite number plates page. nnk_trk Stores a list of searches you have performed, along with a list of specific registrations you have viewed. This powers the 'recently viewed registrations' list that lets you quickly jump back to registrations you have previously viewed, or perform searches again. This cookie also stores details of how you found our website - e.g you may have clicked one of our adverts shown on Google. We use this information to help us identify if our advertising campaigns are working, and also to save you from selecting from a 'how did you hear about us' box every time you fill out a form. Finally, this cookie also stores your computer's IP address. The IP address is the numerical address of the computer used to visit the Website. We collect this information so that we can trace the computer used in cases of misuse or unlawful actions in connection with visits to or use of our website. nnk_aff Several partners advertise on our behalf and affiliate tracking cookies simply allow us to see if our customers have come to the site through one of our partner sites so that we can credit them appropriately and - where applicable - allow our affiliate partners to provide any bonus that they may provide you for making a purchase. This data is retained for analysis in pseudonymised form by Google Analytics (the Data Processors). This means it is not possible to identify a natural person, only an individual's behaviours on the site.